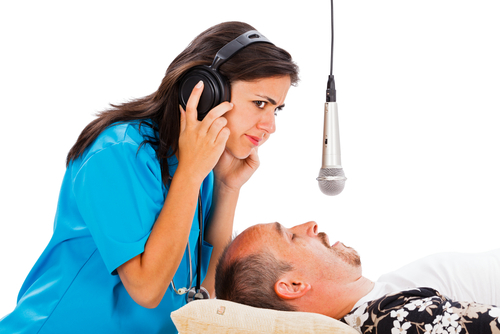 Obstructive sleep apnea is a fairly common sleep disorder. It is estimated that approximately 20 million adults in the U.S. suffer from the disorder. And while sleep apnea is fairly common, many people go undiagnosed for the disorder. In fact, it's estimated that up to 80% of people with sleep apnea don't get the disorder diagnosed. Some of these people may have mild symptoms of sleep apnea and don't recognize many of the symptoms as being a sleep disorder. And others may not understand the serious nature that untreated sleep apnea can have on their lives. What's even worse is that sleep apnea is one of the easiest sleep disorders to treat. Through the use of continuous positive airway pressure (CPAP) machines, or alternative treatment options, symptoms of sleep apnea can be managed quite easily. The trouble lies with getting many people to recognize their symptoms or get motivated to get their disorder diagnosed. That's why we've composed 8 of the best reasons to get your sleep apnea treated. Sleep apnea doesn't just cause annoying snoring sounds, it affects the quality of sleep a person gets every night. During an apnea event, oxygen gets physically blocked by relaxed tissues in the upper respiratory system, preventing it from reaching the lungs. This forces the brain to wake itself from certain stages of sleep to signal the body to increase respiratory effort to splint open the airway. For many patients with OSA, the brain wakes up several times an hour. When the brain is constantly being distracted to keep air flowing, it's not spending the time in the deeper stages of sleep that it needs to repair the rest of the body, store your memories, and improve cognitive functions. Because of these distractions the brain never really gets to complete its nightly work, which is why you don't feel rested the next day. Think of it like this: You have a job that allows you to work remotely from home, but your kids are there most of the day. You lock yourself in your office to get some important work done, but your kids are constantly knocking on the door demanding your attention. When you have to step away from the computer every couple of minutes to deal with your unruly children, your work starts to suffer as you spend more time managing your kids and less time meeting deadlines. Sleep apnea is like having kids, and a CPAP machine is like getting a nanny to take care of them during the day so you can work. When you treat your sleep apnea, your brain gets to perform its job the way it's supposed to–uninterrupted. And when it gets to work in the ways it needs to, your body and mind get the rest they need allowing you to feel more awake and alert the next day. If you're feeling awake during the day, it's a strong indication that you slept good at night. One of the symptoms of sleep apnea is restless sleep. Many people with sleep apnea find themselves fully waking at night for frequent trips to the bathroom, or partially waking from sleep to toss and turn about. Every time you fully or partially awake from sleep, you're diminishing the quality of sleep you get at night. And if you're making trips to the bathroom in the middle of the night it can take longer to re-enter the stages of sleep you're missing out on. This is especially true if you're doing things such as turning on lights or taking a minute to check your cellphone, which can affect your melatonin production as your brain associates light with daytime making it more difficult to return to sleep when you want to. Seeking treatment for sleep apnea can greatly reduce the number of nocturnal awakenings you experience allowing you to finally get the full rest you've been wanting and needing. It's not just the person with sleep apnea that suffers from lost sleep. Quite often, the patient's bed partner loses sleep as well due to the loud disruptive snoring coming from the other side of the bed and the tossing and turning of a restless sleeper. Not only that, but for those with moderate to severe sleep apnea, the long pauses in breathing followed by the choking/gasping sounds sleep apnea sufferers make when they start breathing again can be quite frightening to their loved ones. 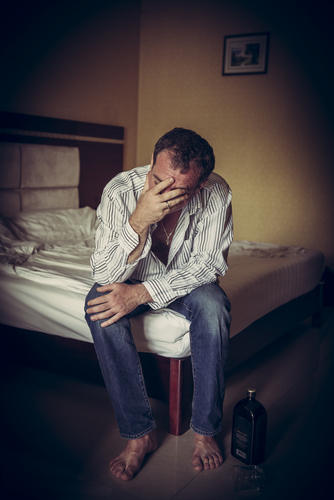 Many partners of those with sleep apnea complain of worry that their loved one might simply quit breathing altogether in the middle of the night, and they often lose sleep over the anxiety it creates for them. If your own quality sleep isn't reason enough to get treatment, think about the sleep loss and anxiety your sleep apnea is creating for the one next to you. Sleep apnea causes high blood pressure at night because the brain makes getting oxygen rich blood cells to its various systems a priority. When there's an obstruction in the breathing process this tells the brain that it needs to kick-it-up-a-notch in blood flow by constricting blood vessels to keep things running. One of the major problems is that even when you're awake these mechanisms have trouble shutting off giving you high blood pressure even during the day. Studies show that treated sleep apnea reduces blood pressure and lowers the chances of cardiac problems including heart disease, heart failure, and arrhythmias. Another study shows that people with moderate to severe sleep apnea are 4 times more likely to die, nearly 4 times more likely to have a stroke, 3 times more likely to die from cancer, and 2.5 times more likely to develop cancer. It's not just your sleep that is affected by untreated sleep apnea. Your health, and even your life, can depend on seeking treatment. Another common symptom of sleep apnea is morning headaches. When you stop breathing, two things occur: the carbon dioxide levels in your blood go up, and the oxygen levels in your blood go down. Higher levels of carbon dioxide in the bloodstream causes the blood vessels to dilate. When the blood vessels that are in the head and brain dilate it causes vascular headaches. These headaches usually go away within a half hour of being awake as regular breathing returns the balance of carbon dioxide and oxygen levels to normal. However, if you're breathing properly throughout the night, you won't have to experience headaches caused by sleep apnea anymore. Sleep deprivation causes troubles with concentration, lapses in attention, and even memory problems. When you're not sleeping well at night, your brain has a tougher time processing things during the day. Your sleep troubles spill over into your daily life in many ways, and can even affect the quality of your work at your job or in academics. When you're tired (especially when you're chronically tired), you're more likely to make errors, have trouble recalling important information, have trouble paying attention, and even lack the motivation to want to get pressing work done. If excelling at work or school is important to you (which it should be), then you will need to get quality sleep at night, every night. And the best way to do that is to get your sleep disorder treated. Similar to how a lack of sleep can be disastrous at work or school, sleep deprivation can cause actual disasters. Lapses in attention can cause accidents in the workplace and while driving. According to the National Highway Traffic Safety Administration, drowsy driving is estimated to be responsible for 2.5% of fatal crashes, and 2% of crashes causing injury. 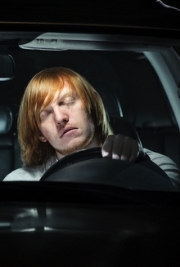 That's about 5-6 thousand vehicle accidents due to drowsy driving every year. Even some of the worst disasters in history have been attributed to sleep deprivation including the nuclear disasters at Chernobyl and Three Mile Island, the Challenger explosion, and the Exxon Valdez oil spill. In all of these major disasters sleep deprivation of workers (or key decision makers) was listed as a contributing cause of the accident. If safety for yourself and others is a concern, then your sleep health should be as well. If you don't have diagnosed sleep apnea, you may be putting yourself at risk if you take certain medications or undergo general anesthesia during surgeries. Medications such as sedatives and narcotic analgesics as well as general anesthesia can further relax your upper airways making your sleep apnea symptoms worse. Even if the doctors know about your sleep apnea it can cause complications in breathing if you undergo anesthesia, which means that things can get a lot worse if your sleep apnea has not been diagnosed because preventative measures will not be taken. If you have, or even suspect you have sleep apnea, you need to let your doctor and anesthesiologist know beforehand so that proper measures can be taken to avoid complications during surgery. 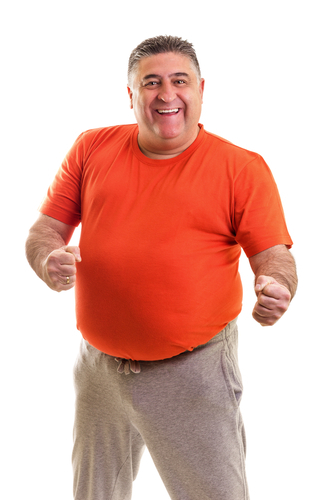 As you can see, the dangers of untreated sleep apnea are many, and should be taken seriously. From losing sleep, to annoying or scaring your loved ones, to even developing serious medical issues, sleep apnea is a condition that can have huge consequences on your life. There's really no reason to not have your sleep apnea diagnosed and treated. And once you do get diagnosed and set-up with therapy, you'll quickly recognize the positive impact that finally getting quality sleep at night can have. At The Alaska Sleep Clinic we specialize in not only diagnosing sleep apnea and other sleep disorders, but in helping patients maintain their therapy so that they never have to suffer another night of lost sleep. If you live in Alaska and are ready to get your sleep apnea taken care of once and for all, click the link below for a free 10-minute phone call with a sleep educator who can easily help determine if your symptoms require a sleep study.